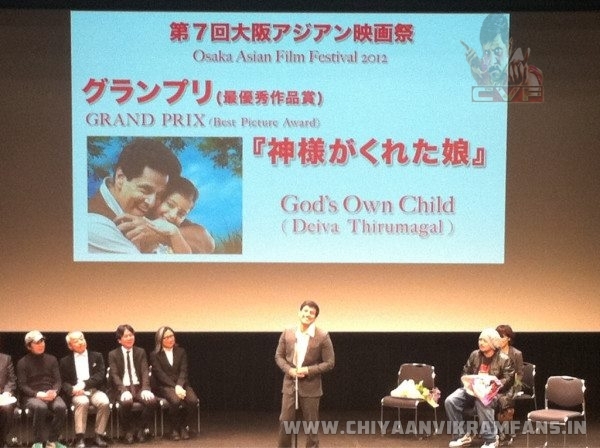 Chiyaan Vikram's film directed by AL Vijay, Deiva Thirumagal was entered in the competitive category at the high profile Osaka film festival at Japan. 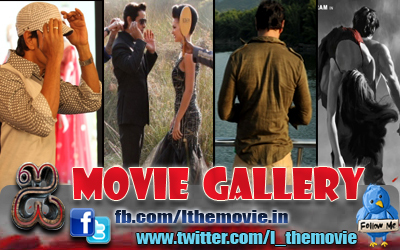 DTM has done Tamil cinema proud by winning two awards. It won the Grand Prix award for Best film and also Best Entertainer of the festival award. The cast and crew of the film are delighted with the win. Behindwoods offers our heartiest congratulations to Vikram, AL Vijay, Anushka, Amala Paul, Santhanam, Sara, UTV Motion Pictures and the rest of the team for a wonderful showing at Japan.